2.25" x 30" x 2.25"
1.18" x 7.09" x 4.92"
Description - Workout at your pace and keep that pump alive with Body-Solid's EXM1500S Home Gym. With the ability to work out your whole body, this home gym is the perfect machine for any home gym. No need for a gym membership, workout in the comfort of your home. Lat Pulldown / High PulleyStation: Perform lat pull downs, triceps press downs, cable crossovers, and many more high pulley exercises. Adjustable hold down pads stabilizes your body for lifts beyond your body weight. Unique versatility allows you to increase the strength and endurance of your back muscles. Leg Extension / Leg Curl Station: When you' re ready to build muscular legs and stronger knee joints, this leg developer is ready to help you meet your goals. Biomechanically accurate pivot point ensures ergonomically correct body positioning for natural and complete hamstring and leg biceps development. Chest Press Station: Biomechanically designed for maximum chest concentration and outstanding muscle development. 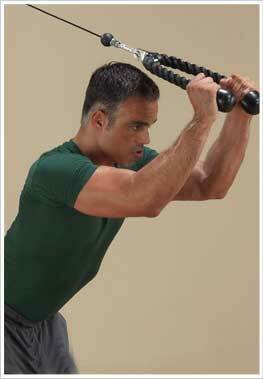 Comfortable, multi-position handgrips focus on distinct areas of the chest and triceps. Adjustable seat height assures you of a perfect fit. 160 Lb. AlloyWeight Stack: Advanced alloy weight stack plates are machine drilled to exact specifications and employ state of- the-art nylon bushings for super smooth and quiet operation. Recommended For - Body-Solid's EXM1500S Home Gym is the perfect do-it-all fitness machine for any home gym. Body-Solid's Powerline EXM1500S has 5 stations where you can work out different parts of your body. So, you are bringing the gym to your home. These 5 stations are as follows: Lat Pulldown / High Pulley Station, Ab Crunch / Mid Pulley Station, Leg Extension / Leg Curl Station, Chest Press Station, and a Seated Row / Low Pulley Station. This home gym has a 160 lb. alloy weight stack with state-of-the-art nylon bushings for super smooth and quiet operation. When you are looking for the best home gym, look no further than Body-Solid's EXM1500S Home Gym. This home gym was ranked the #1 Best Buy home gym by a leading consumer reporting publication. The reason it was considered for this honor was the fact that it had all the toning, firming and strength training options that could be all done in the comfort of your home. This means, goodbye gym! Body-Solid's Powerline EXM1500S Home Gym comes with a lifetime warranty for in home use. The warranty encompasses the following: Lifetime warranty on the frame and welds, a lifetime warranty on the pulleys, brushings, bearings, hardware, plates and guide rods, and a lifetime warranty on the cables, upholstery, and grips. Need a little more weight? Or would you like a rope to work your triceps in a different way? All of these can be added to Body-Solid's EXM1500S Home Gym. The accessories you can add are a 5 lb. weight stack adapter plate, a 2.5 lb. weight stack adapter plate, an adjustable nylon stirrup handle, and a triceps rope.